Gumball Shake – A classic American gumball milkshakeVG/PG ratio: 70VG/30PG.Bottle Size: Chubby.. 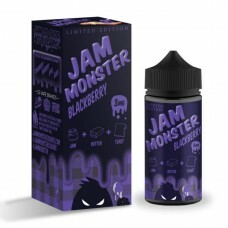 Nasty Juice Brings you there Budget series by Killer, No compromise in quality or flavour.By Killer .. Enjoy a fruity cereal with the fresh taste of key lime and whipped cream.Volume: 100ml70VG/30PG..
A little lemon, a little lime and a lot of vapor. Lovers of lemon and lime will find it hard to resi.. The finest mangoes smothered in luscious cream, beautifully balanced with a shortbread crust. 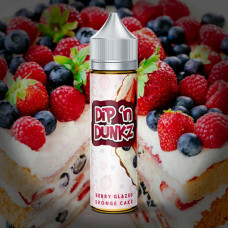 Go on,..
A creamy zesty orange base on a bed of sweet pastry, with a subtle hint of biscuit crunch.60ml Glass..
Berry Glazed Sponge Cake by Dip 'n Dunkz!VG/PG Ratio - 70VG/30PGBottle Size - Chubby Gorilla- (60ml)..
Sweet cream frosting with biscuit sprinkles by Dip 'n Dunkz!VG/PG Ratio - 70VG/30PGBottle Size - Chu.. Celebrate a cool and citrus feel of lemon and lime in an Italian ice cream vape. A delectable mix th..
A perfect gelato flavor for those who love sweet and salty! 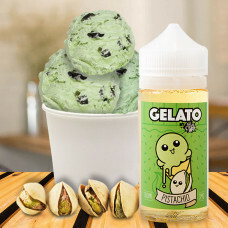 Pistachio Gelato is brought to you by Ic..